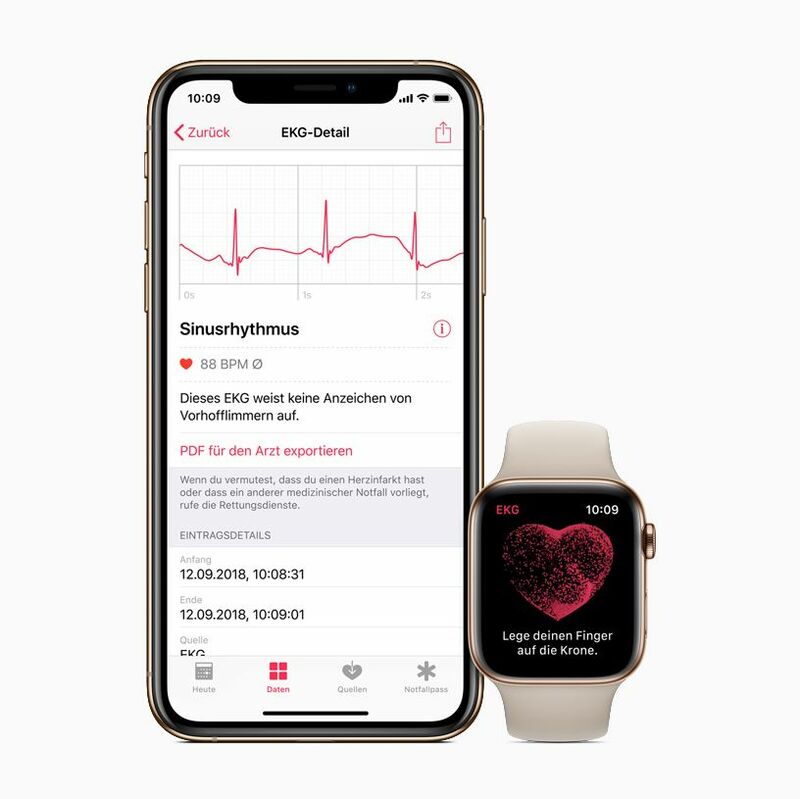 With watchOS 5.2, customers in 19 European countries including Germany can take an ECG reading with Apple Watch Series 4 at any time, and all recordings, their associated classifications and any noted symptoms are stored securely in the Health app on iPhone. 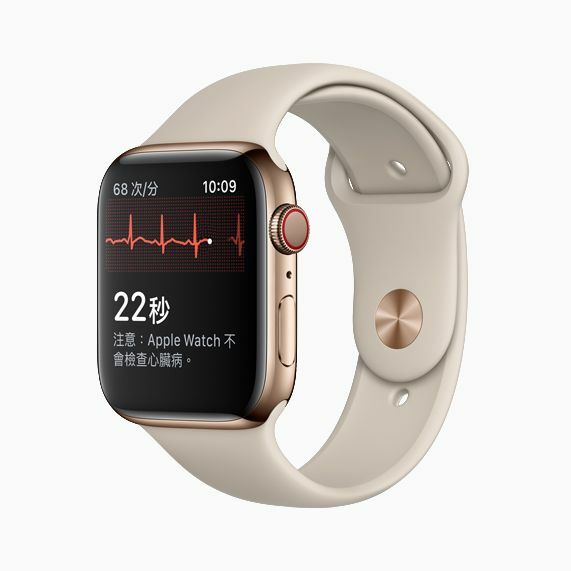 The ECG app on Apple Watch Series 4, a direct-to-consumer product that enables customers to take an electrocardiogram right from their wrist, is available in Hong Kong and 19 European countries, including France, Germany, Italy, Spain and the United Kingdom. In addition to receiving De Novo clearance in the US from the FDA, the ECG app1 and irregular rhythm notification2 are now CE marked and cleared in the European Economic Area. Part of the free watchOS 5.2 software update, the ECG app can capture heart rhythm on demand in a moment when users experience symptoms such as a rapid or skipped heart beat and help provide clinically important data to physicians. The irregular rhythm notification feature on Apple Watch occasionally checks heart rhythm in the background and sends a notification if an irregular heart rhythm that appears to be atrial fibrillation (AFib) is identified. The ECG app on Apple Watch Series 4 is available in Hong Kong and 19 European countries today. The ECG app and irregular rhythm notification feature can alert users to signs of AFib. Left untreated, AFib is one of the leading conditions that can result in stroke, the second most common cause of death around the world. New electrodes built into the back crystal and Digital Crown on Apple Watch Series 4 work together with the ECG app to enable customers to take an ECG similar to a single-lead electrocardiogram. Taking an ECG recording is as simple as launching the ECG app on Apple Watch Series 4 and touching the Digital Crown, which completes the circuit and allows electrical signals across the user’s heart to be measured. After 30 seconds, the ECG app can classify the user’s heart rhythm as AFib or sinus rhythm. New electrodes in Apple Watch Series 4 now enable customers to take an ECG directly from the wrist. All recordings, their associated classifications and any noted symptoms are stored securely in the Health app on iPhone, from which users can share a PDF of the results with physicians. A clinical trial of around 600 participants found the ECG app on Apple Watch demonstrated 98.3 percent sensitivity in classifying AFib and 99.6 percent specificity in classifying sinus rhythm in classifiable recordings when compared to a gold standard 12-lead ECG administered by a cardiologist. 87.8 percent of recordings in the study could be classified by the ECG app. Available on Apple Watch Series 1 or later, the irregular rhythm notification feature will occasionally check the user’s heart rhythm in the background for signs of an irregular heart rhythm using the optical heart sensor. If an irregular rhythm is detected on five rhythm checks over a minimum of 65 minutes, Apple Watch alerts the user with a notification. 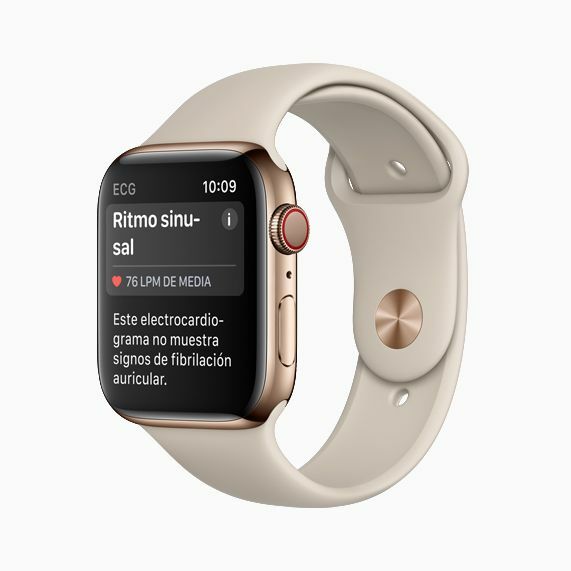 The Apple Watch Series 4 ECG app can classify the user’s heart rhythm as either AFib or sinus rhythm, as shown for customers in Spain. The irregular rhythm notification feature was recently studied in the Apple Heart Study. With over 400,000 participants, the Apple Heart Study was the largest screening study on atrial fibrillation ever conducted, and one of the largest cardiovascular trials to date. Released March 16, 2019, Stanford Medicine’s results from the Apple Heart Study found “only 0.5 percent of participants received irregular pulse notifications, an important finding given concerns about potential over-notification.” The study further found evidence to support wearable technology has the ability to safely identify heart rate irregularities, which subsequent testing confirmed to be atrial fibrillation. 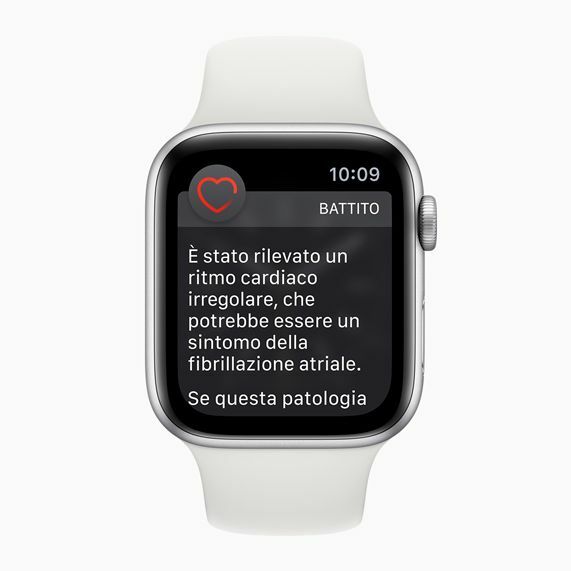 Apple Watch Series 1 or later with watchOS 5.2 sends a notification if an irregular heart rhythm such as AFib is identified, as shown in Italian. To enable these new heart features, customers will open the Health app on iPhone where they will be presented with details about who can use these features, what the features can and cannot do, what results users may get, how to interpret those results and clear instructions for what to do if users are feeling symptoms that require immediate medical attention. watchOS 5.2 will be available today. Customers must also update their iPhone to iOS 12.2. More information on the ECG app can be found here and more information on the irregular rhythm notification can be found here. Medical professionals and providers can find more information on Apple Watch, the ECG app and irregular rhythm notifications here.